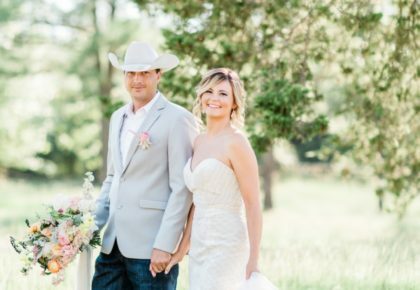 Oklahoma bride Kelli Cook Rollins was planning the garden wedding of her dreams last summer, and although the details of this outdoor affair were planned perfectly, no one could quite accommodate the plans of mother-nature. 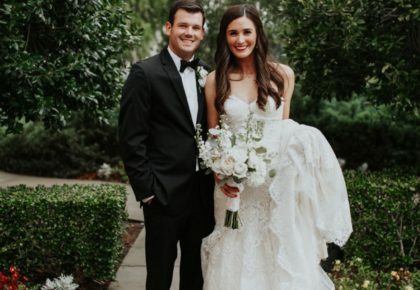 Three days before the wedding, Oklahoma was in the midst of experiencing record rainfall and plans changed quickly. 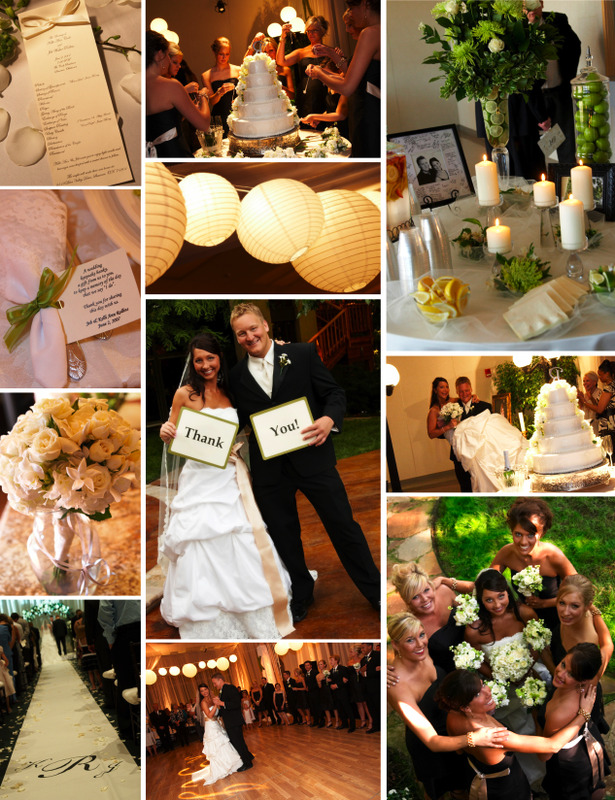 Thanks to the round-the-clock dedication of wedding planner Cathy Johnson of Cathy Johnson Weddings and vendors such as Innovative Entertainment Solutions and Marianne’s Rentals, “Plan B” was underway and the wedding was moved indoors. Kelli explains that their “Plan B” alternative venue was completely transformed and that the wedding and reception turned out beautifully – one worth vying with anyone’s best “Plan A.” Cathy Johnson recommends that Oklahoma brides always have a “Plan B” if thinking of having an outdoor wedding. Sounds like a good plan to us! 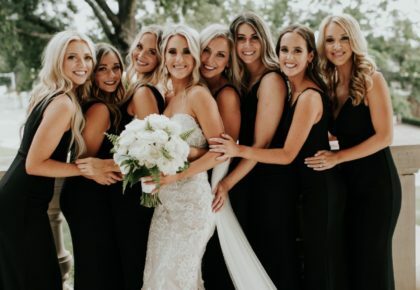 While Oklahoma’s unpredictable weather brought this wedding indoors, we love how the wedding and reception’s decor reflected an outdoor setting. Guests entered the reception through a hallway of live fig trees and Boston ferns. The room was draped in white and white paper lanterns strung from the ceiling gave the entire space a soft glow. An aisle with the couple’s monogram led guests to their tables, where gorgeous piano vase centerpieces of freesia, champagne roses, orchids, white snowberries and Bells of Ireland were arranged on top of floor-length ivory damask tablecloths. The three-tiered wedding cake featured cascading white flowers and greenery. Kelli wore a Jasmine Couture silk taffeta gown with French embroidery and Alencon lace trim from Moliere Bridal Salon. The bridesmaids wore tea-length, Doupioni silk dresses with champagne sashes that were custom-designed by Bridal Showroom. The groom and his groomsmen wore classic black tuxedos with vests and ties from Tuxedo Junction. 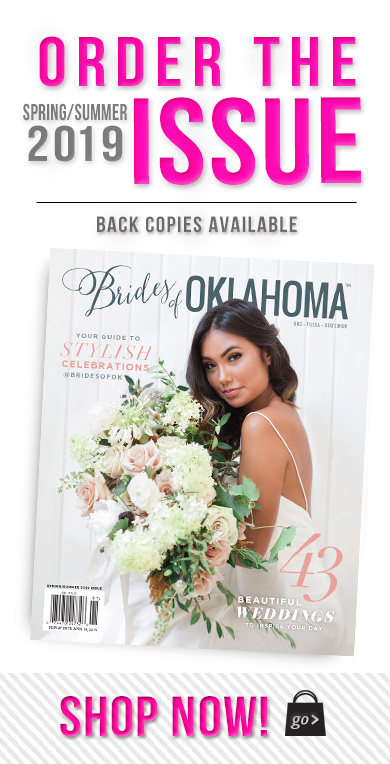 More on this wedding saved by “Plan B” can be found on pages A18 and A19 in the January 2008 issue of The Brides of Oklahoma magazine.